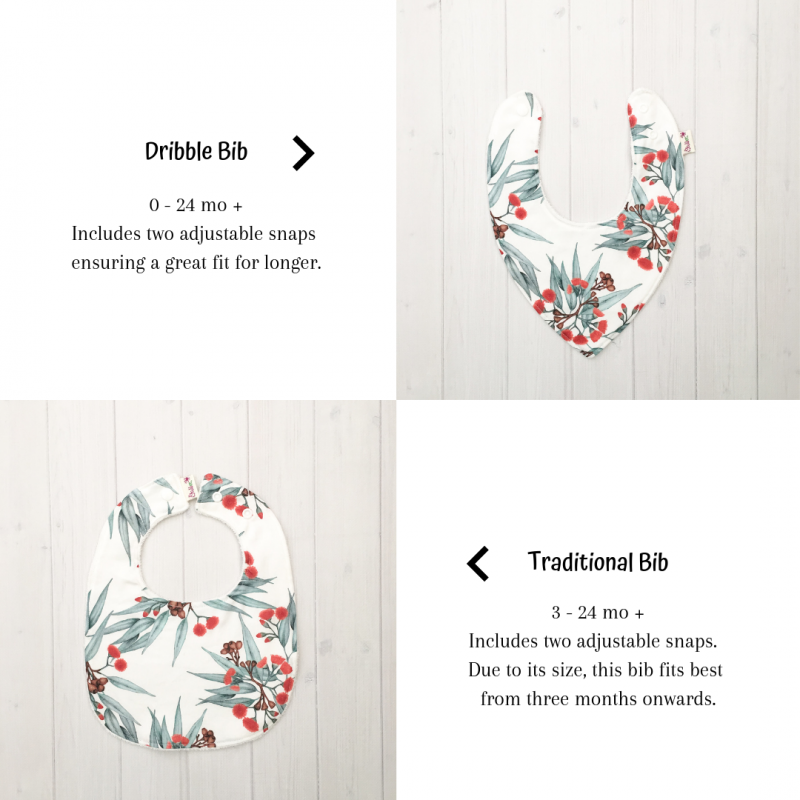 Our Wattle dribble bib is the perfect piece of Australiana and great for babes of all ages. Modern, fun and practical. These truly are an essential item for any baby or toddler. These bibs are made from a premium cotton fabric and are backed with a beautiful, soft 70% bamboo 30% organic cotton terry towelling. Each bib includes 2 industrial strength snaps which helps it fit easily from birth to toddler.